Christmas 2014 began as a beautiful day — a sunny crisp morning punctuated with the sounds of presents being opened and children’s laughter. Somewhere along the way, things took a turn for the worse, much worse. The day turned into a symphony of pain. Our hearts are still torn. In the midst of our grief, Norma’s cried out words from the heart of agony: “It is Christmas! We need to turn on the lights!” We did. The Sadie Walker Foundation is our attempt to keep the lights on. Suicide is a word that causes the heart to recoil in fear and horror. It is, to be blunt, the most horrific experience through which any of us have ever had to suffer. It is shocking in a way that traumatizes, that turns your life upside down. The pain of suicide is made all the more profound with the full realization that it is entirely preventable. For our part, we struggle to face the fact that Sadie made her choice. Yet it was not a choice that she made alone. Sadie’s rapid descent into despair and her death was witnessed by a group of suffering young people who were able to hide behind a cloak of Internet privacy to form an online community of silent sufferers. This is a community where teens share their pain, not with anybody who is interested in offering substantive help or care — but with people who themselves are in the grip of alienation and isolation. This is a place where young people learn and teach each other the language of self-harm. I have come to refer to this as the school of despair. This is a community that is also inhabited by the most perverse form of predator — the individual who encourages self-harm. Some of these young people have come to us. They have come to be reconciled, to start along a new path, to attend the school of hope. We have come to count many of them as friends — friends united by the life and death of a beautiful soul. We have seen firsthand the healing that comes when fear is laid aside and replaced with friendship. For parents as well as for young people, it takes great courage to make this step. God never promises that we will not suffer – but he never expects us to do it alone. For our part the messages are clear. First, the dangers of social media are real. As human beings, we are made for communion with each other. Social Media distorts human relationships and, critically, our own sense of self identity. Especially for young people working to form their own sense of identity, this dislocation between the online identity and reality can cause permanent and lasting damage. The online world represents a 21st century reality, currently governed by 20th century conventions. The victims of this disparity are all too often, the youth. Second, the question of self-harm and suicide is seen as a “virtual problem” – one that can be solved online. Time and time again we talk with young people who try to solve this problem by themselves. You cannot put out a fire with a text message. You cannot defuse a bomb by retweeting an image. You cannot perform virtual CPR to save a heart attack victim. Once the risk of suicide or self-harm has been identified, there can be only one response: talk with a grown up. Why is a child who is not yet old enough to enter into a contractual agreement, able to create an online account that where all activity, even after their death, is hidden from their parents? Why are the companies that host these sites not required to provide a safe environment for their clients? Restaurants, shops, schools, and churches, are all required to maintain an environment that safe and secure for the people who visit them. Do these requirements not also hold for social media sites for whom the majority of their clients are young people? These are questions whose time has come. These are questions that are being asked by more and more people — parents, school administrators, law enforcement officials. Finally this story cannot be told without recognizing our story is not about us. Ours is the story of a heroic young priest who made an emergency call on a Christmas morning to offer spiritual counsel. It is the story of a neighborhood who rallied around its own. It is the story of a family who united as never before to provide support in a time of need. It is the story of thousands: a coach, teachers, counselors, school administrators, an exemplary employer, law enforcement officials, and friends, known and unknown, who sustain us with their prayers. 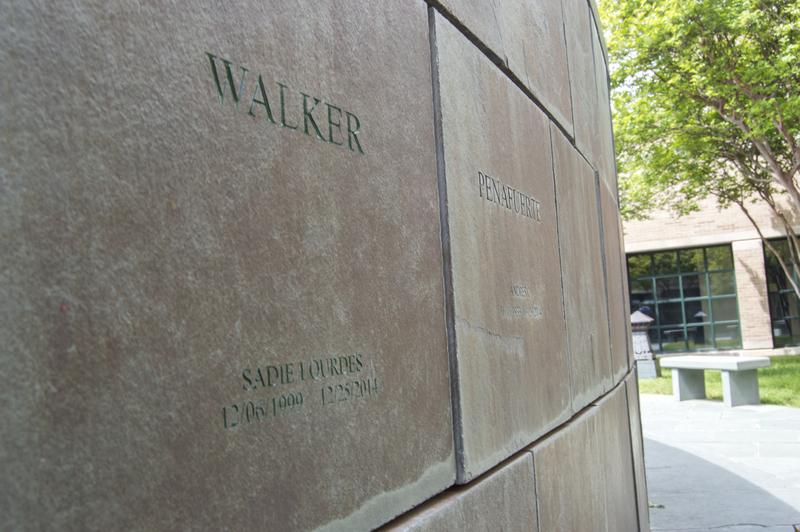 It is the story of Sadie Lourdes Walker. Her work is not done.